- Anything on our menu can be made to go, just ask! 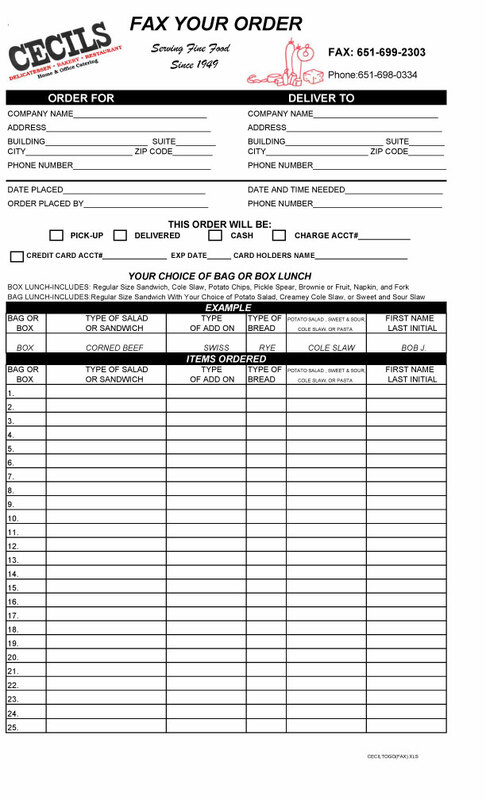 - Fax your orders in using our fax order form! - All Breads and Rolls are Baked in Our Own Ovens! - We Specialize in Box Lunches and Deli Trays! - Company Charge Accounts Welcome! Cecil & Faye Glickman established Cecil's Delicatessen on July 1, 1949. Their aim was to provide the highest quality products to the Highland Park community. They brought in their meat products from Chicago, which even today, is still the best producer of quality meats. They started with a very modest store and over the past 50 plus years the size of the building has grown and their commitment to quality products has endured for three generations. We still bake all our own breads and rolls. We pride ourselves on our made from scratch soups, dressings, salads, desserts, latkes, and chopped liver. 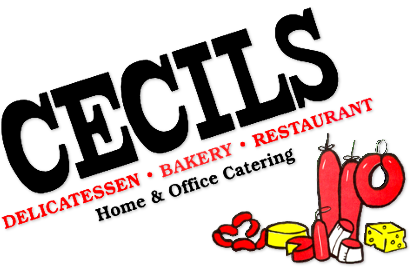 Cecils is the last of the true established delis in Minnesota, and we look forward to serving our customers the best for another three generations. Any questions? Direct them to Cecils Deli. This page created by Jonathan Strander.